Are you looking the new ideas for designing your living room? You can try Mid Century concept. Some of you might be unfamiliar with this. According to author Cra Greenberg in her 1984 collections, the Mid-Century term is referring to iconic things that are coming from remaining war materials after World War 2. Designer transforms it to various things such as the chair, table, or lights. In today era, the Mid-Century design could create a uniqueness element in the world of home design. For the vintage lovers or people who are fans of the 40s, 50s, and 60s, this Mid-Century concept is the suitable choice. 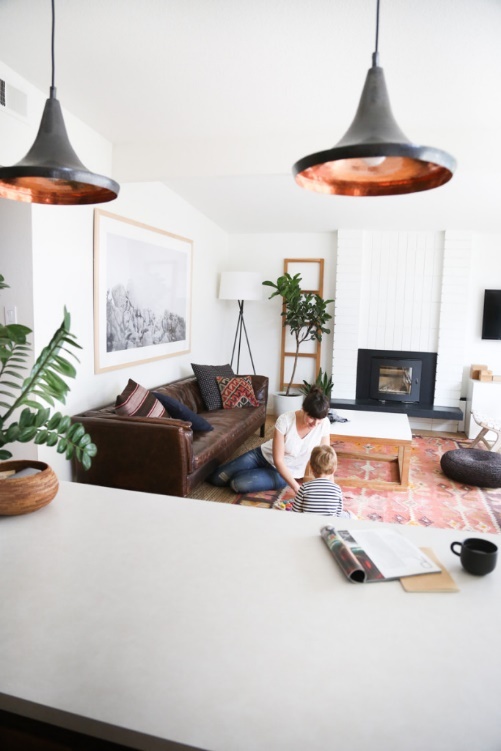 For you who don’t know yet where to start, just take a look at these ideas to embody Mid-Century design in your living room. These ideas are using common things and ornaments that most people can find easily in a supermarket or other furniture store. Here are some of it. 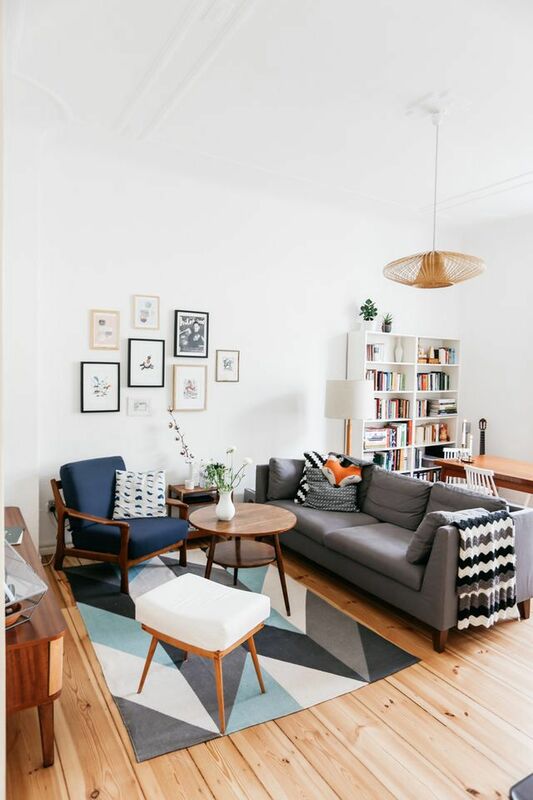 For you who love natural-looks ornaments in your house and Mid-Century concept at the same time, why not mix up both with small wood-legged table or chair in your living room. This combination could bring a retro atmosphere to your house. It also brings simplicity which is suitable for you who like the minimalist concept. This small wood-legged furniture could be applied to the small living room because it doesn’t require a lot of space. During the Mid-Century, the design that relies on geometric shapes and pattern are a common application. For you who are really passionate about the Mid-Century design, adding geometric prints on your curtain or carpet will liven up your living room. Some of the examples are the atomic design which was a trend from 1930 to 1950. A circle or polka-dot pattern is the representation of this design. Not only in a pattern, but the geometric design also can be applied to shape. Adding a small boomerang-shape pillow on your sofas will reaffirm your mid-century ambiance within your living room. White as neutral color has been a favorite choice for many homeowners. It is easy to be combined with many different colors. Although, it needs more attention to the cleanliness aspect. Because white color is really susceptive to be dirty and people can notice it easily. In applying white color for making a Mid-Century design, just simply using all wall and backdrop white full-white plain. Because the mostly mid-century house has a simple white color only. Adding furniture with the dark color such as brown, dark or wood will contrast with your living room and build up a classic and old style of living room. Simple but stunning. Bored with common colors like white or black? 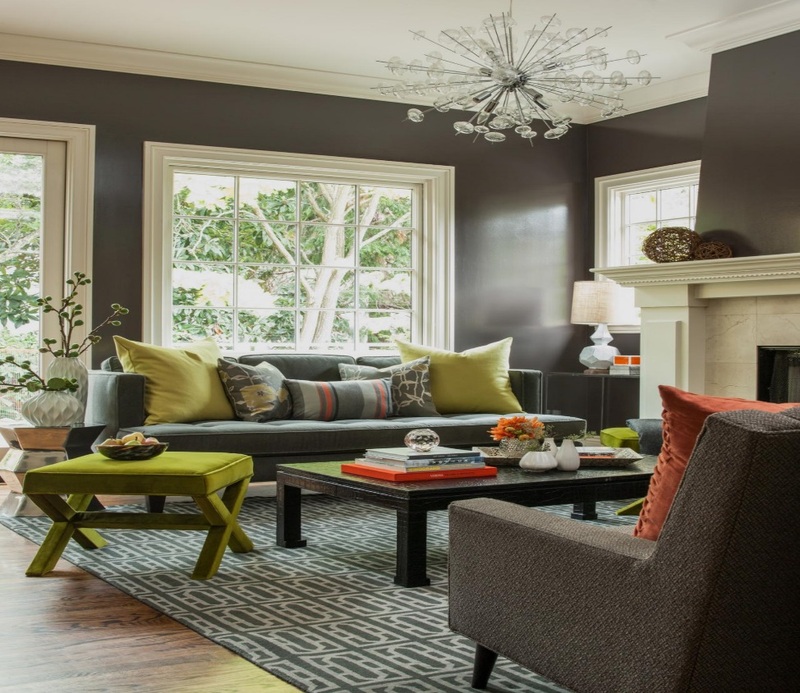 Don’t worry; you can try the grey pattern for your Mid-Century Living Room ideas. Grey colors are universal color. For you who like a feminine or masculine concept, both of you can use this Grey application. You can put it on your backdrop or just apply it to your furniture color. Grey is also suitable to hide some stains spot in your rooms. It is harder than the white color concept to notice some unclean area. If you the little bit lazy to clean your house daily, this color should be your preference. Metal has been a timeless and long-lasting material for decorations until now. It makes metal ornaments look good as well to create your own Mid-Century living room ideas. As mentioned before, that the mid-century design concept was coming from the molded remaining of World War 2, which was coming from metal or steel. You can apply this metal decoration for a wall or from furniture. 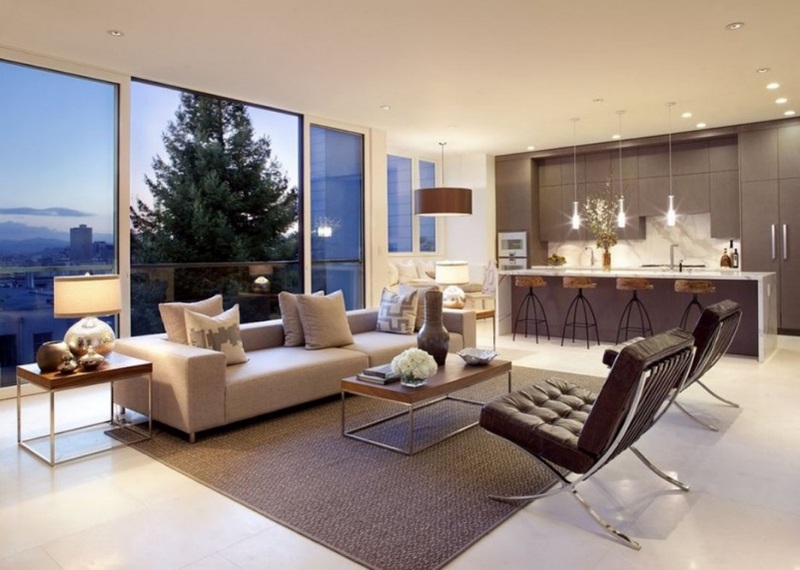 For example, using small metal-legged sofas for your living room can be useful for the mid-century concept. It will create silver accents in your room which is retro without leaving the modern elements at the same time. For the big fans of luxury and Mid-Century things, using fabric materials for your living room will be a dream come true. Fabric elements included: silk, wool, linen, cotton, or canvas. For the highest smooth and comfortable sensation within your living room, using silk is the best option. Wool for giving warmth experiences, especially if you live in the cold area. The fabric is the right concept to add texture to your living rooms. Mostly of fabric applications for mid-century design is on furniture or carpet. It could fulfill visual satisfactions and esthetical thing as well. If you want to maximize your Mid-Century design concept for a living room, you can also combine all those ideas above together rather than only do it separately. Just remember to calculate your budget first. Don’t force yourself beyond your budget. Some of the ideas above also can be done with inexpensive cost.